In a sea of talented vocalists on the Twin Cities Jazz Scene, Paula Lammers is a distinctive artist, “a solid soprano voice who shares each song’s story with heartfelt conviction, clear diction and a sweet (but not too-sweet) tone, swing where it needs to swing, energy where it needs to pop, wistful musing or upbeat sunshine as the story merits (Andrea Canter, Jazz Police.com). A native of St. Peter, MN, Paula recalls her first public performance of “Go Tell Aunt Rhody” at age four and wearing out the needles on her parents’ record player listening to Bing Crosby, Frank Sinatra, the Serendipity Singers and the Ray Coniff Singers. And although her family moved several times, “music always anchored me into a new community, through choir and church.” She majored in music at Gustavus Adolphus College in St. Peter, then continued her studies at the University of Minnesota where she earned a Master of Music in Vocal Performance. Classically trained, Paula found a new direction when she took an opera improvisation class during her graduate studies, and discovered an untapped talent to hear chord progressions. 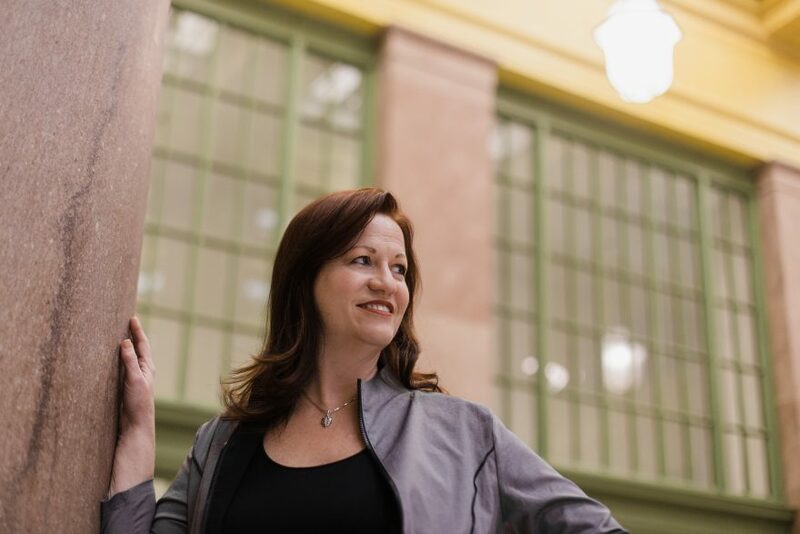 In 2001, despite 12 years of performing and teaching on the Twin Cities classical scene, she took an unexpected detour –a seven-year tenure singing 40s tunes with a vocal quartet aboard the Minnesota Zephyr. Soon Paula was singing with area big bands and formed her own nine-piece ensemble, Cloud Nine, performing throughout the Twin Cities from 2006-2010. In 2012 she began a 3-year stint with the Phil Mattson Singers as lead soprano. Today, Paula is actively sought as a soloist for corporate and community events, including eight years performing at the Eagan Art Festival, and nine years on the Como Lakeside Pavilion stage. Creative projects include collaborations with pianist Mary Louise Knutson, guitarist David Martin, cellist Greg Byers, accordionist Denny Malmberg, and singer Reeves Cary. As a guest artist, she has recently appeared with the Cannon Valley Regional Orchestra, the Jerry O’Hagan Orchestra, Minnesota Jazz Orchestra, on the Pipestone Performing Arts Series and on the Top Hat Series (Ulen, MN). She has been a member of the Stillwater Victorian Holiday Carolers for eight years. With the Phil Mattson Singers, she performed at the Jazz Educators Network convention in San Diego (2015). Home in the Twin Cities, Paula’s recent gigs have included a recent concert at Antonello Hall at the MacPhail Center for Music, Crooners Lounge, Jazz Central Studios, Jazz at St. Barney’s, Parma, Parley Lake Winery, and the Cannon River Winery. Long involved in music education, Paula is currently a Teaching Artist at MacPhail Center for Music, Cadenza Music, and at her private studio in Apple Valley. Paula has released two acclaimed recordings in the company of small ensembles of Twin Cities’ top musicians. Her debut album, A Blanket of Blue, appeared on Top Ten for 2005 by Syracuse internet radio station Live 365; Deep Purple Dreams (2011) was declared “a smart collection of tunes, admirably performed” by Doug Boynton (Girlsingers.com) that offered “more proof of the groovy jazz scene keeping Minnesota as warm as it possibly can” (Chris Spector, Midwest Record). Rising above that sea of talented vocalists, Paula Lammers can reverse the winter’s wind chill or the summer’s heat wave with songs that engage your heart as well as your ears.